Friday, April 20th, 7pm in the SteamPlant Theater, as a wrap up to the full day of AgriSummit events, join Guidestone for a screening of Farmers For America, a documentary film to celebrate, inspire and support young farmers. The run time for this film is 75 min. As expressed by Leave It Better, LLC, creators of the film, Farmers For America is all about supporting young farmers. ‘We face a unique moment in America’s agriculture. The average age of the US farmer is 60 years old. Half of our farmland is going to change hands in the next 12 years. It’s a time of upheaval, risk and extraordinary opportunity. To continue to feed ourselves in the years ahead, we need a new generation of young people to step forward’. For more information on this film and the organization Leave It Better, click HERE. Help celebrate, support and inspire the next generation of farmers and ranchers by attending this screening! 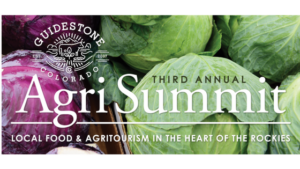 Tickets can be reserved with a full AgriSummit registration, or for just the film screening. Purchase Tickets HERE or through the SteamPlant Box Office.